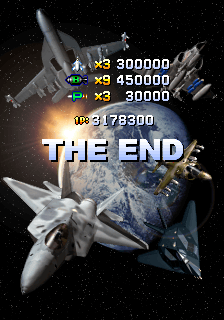 3 lives, extend at 600,000, Normal difficulty. To use the X-36, enter the test menu, go to Maintenance Code, and input 01999. From then on, whenever you start a game, head to the ? and press up. DETAILS is for what model of console and release of cart/disc, or what emulator and version. 3. RealBout c.f. - 829,600 - 1-7 - ?? - ??? 4. CIV - 681 100 - 1-6 - ?? - ??? 6. BA2 - 281,000 - 1-3 - ?? - ??? 2. RealBout c.f. - 843,300 - 1-7 - ?? - ??? 3. Shalashaska - 252,300 - 1-3 - ?? - ??? 1. Landshark - 1,098,200 - 2-1 - ?? - ??? 2. RealBout c.f. - 953,600 - 1-8 - ?? - ??? 3. Azinth - 786,900 - 1-7 - ?? - ??? 6. jammiejay85 - 343,000 - 1-4 - ?? - ??? 7. crithit5000 - 328,400 - 1-4 - ?? - ??? 8. Shalashaska - 313,600 - 1-3 - ?? - ??? 1. RealBout c.f. - 1,066,600 - 2-1 - ?? - ??? 4. Rob - 900,400 - 1-8 - ?? - ??? 5. Battletoad - 898,900 - 1-8 - ?? - ??? 6. Kiel - 850,600 - 1-8 - ?? - ??? 4. RealBout c.f. - 996,300 - 2-1 - ?? - ??? 6. Nemo - 917,700 - 2-1 - ?? - ??? 7. Super Noodle - 816,200 - 1-8 - ?? - ??? 7. Wen - 2,418,200 - ALL - ?? - ??? 19. pugeta - 1,318,000 - 2-4 - ?? - ??? 21. RealBout c.f. - 1,285,000 - 2-2 - ?? - ??? 22. toby - 1,208,600 - 2-2 - ?? - ??? 23. CRI - 1,201,100 - 2-2 - ?? - ??? 24. Battletoad - 1,115,600 - 2-1 - ?? - ??? 25. Shalashaska - 1,108,900 - 2-1 - ?? - ??? 26. RNGmaster - 1,096,300 - 2-1 - ?? - ??? 29. Enhasa - 1,068,200 - 1-8 - ?? - ??? 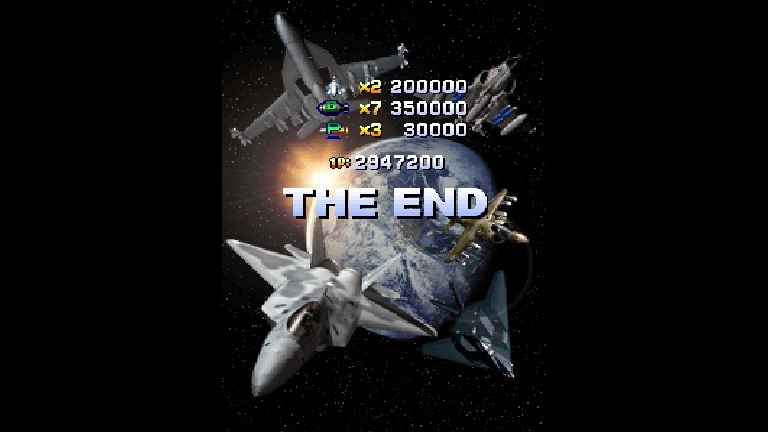 36. japtor - 992,400 - 1-8 - ?? - ??? 37. mulletgeezer - 966,800 - 1-8 - ?? - ??? 38. Kiel - 923,100 - 1-8 - ?? - ??? 41. PPPP - 823,700 - 1-7 - ?? - ??? 42. 1up - 790,900 - 1-8 - ?? - ??? 43. Ramus - 755,400 - 1-6 - ?? - ??? Last edited by Despatche on Thu Jan 31, 2019 6:31 pm, edited 9 times in total. Don't know why I stayed away from using the X-36 for so long, this ship is just so much better than the others it's unfair. My first 2-ALL for this one. Going to try and get a much better score as I died 2 really stupid deaths and that just kills your score. Got any plans for the first Strikers 1945? 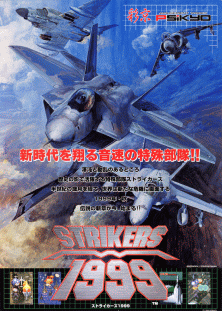 Yes, I will eventually get around to the original Strikers 1945, although I must admit I'm not exactly thrilled about it lol. I think III is the pinnacle of the series. Even 1945 Plus was actually pretty good despite all the hate it gets. 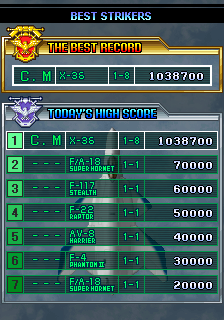 I still want to take a stab at a 3+ Million score in III first though. 1945 Plus is really good, I need to play it more. Removed the difficulty track, unless someone really wants to play Very Hard. 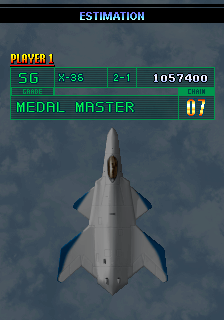 I still want to take a stab at a 3+ Million score in III first though. haha. Much easier said than done, as you know lol. Also Lyv, are you going for any double techs in your runs? I manage to pull the 1-7 double tech off about 50% of the time but also either get killed or miss out on the tech bonus the other 50% so I'm not sure it's worth it. No, I don't go for the double techs. I find the 1-6 double tech more manageable than the other ones, but it's definitely not something I've practiced for consistency. Unless you somehow have the insane precision required to pull it off 80%+ of the time, I'd rather focus on not bombing, improving medal collection or learning some easy milks. Another update, close to 3M this time. Switched to the Japanese bios this time since I'm not sure if there are any in-game differences between the international versions other than text. Very nice, good luck on 3M. 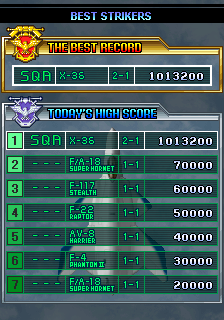 Just need to put that no-miss run together and I think I can take the forum record. Of course far easier said than done lol. Unless of course Lyv beats me to it if he's still playing. Don't worry, I haven't played anything seriously since last year or so. It's all yours, man. Good luck ! The cheap and cheerful X-36 loop. Congrats! Going through everything, surprised there haven't been more scores in two months... Hm. Maybe I'm not really all that surprised. If there are any mistakes, please PM me and I should be able to get to them much sooner. Hello, Despatche! 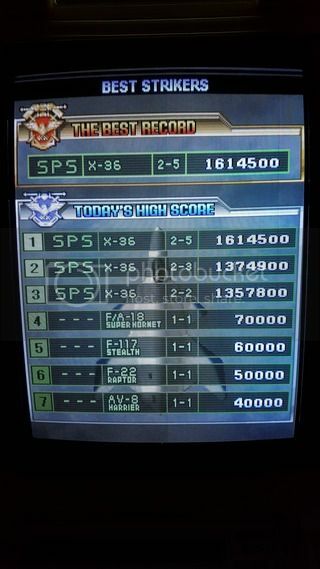 I've come here to submit the score of my 1st ever 2-ALL of Strikers 1999! It's also my 1st ever Psikyo 2-ALL as well, so it was really nice to have! Video of my 1st ever 2-ALL of Strikers 1999! It was pretty fun working on this game! 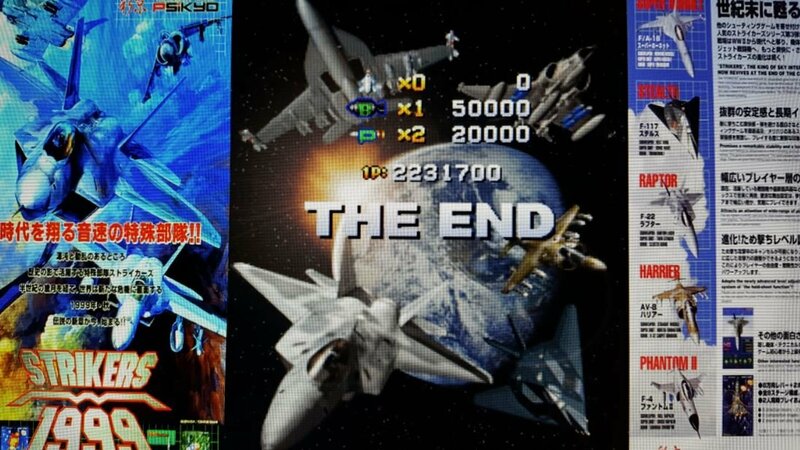 I'd like to come back to it sometime, since improvements can certainly be made to this run of mines, not to mention this run didn't have quite that sense of finality to it for me, so yeah, I'll come back to it sometime indeed. 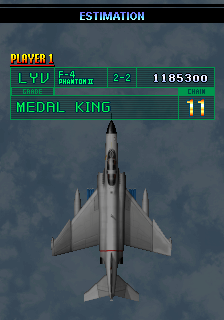 For now, though, I'm quite happy about getting my 1st ever Psikyo 2-ALL! Also, yay, I beat Saucykobold in something! Intense, congrats! Just wish it wasn't the X-36. Claiming the #1 spot at last.